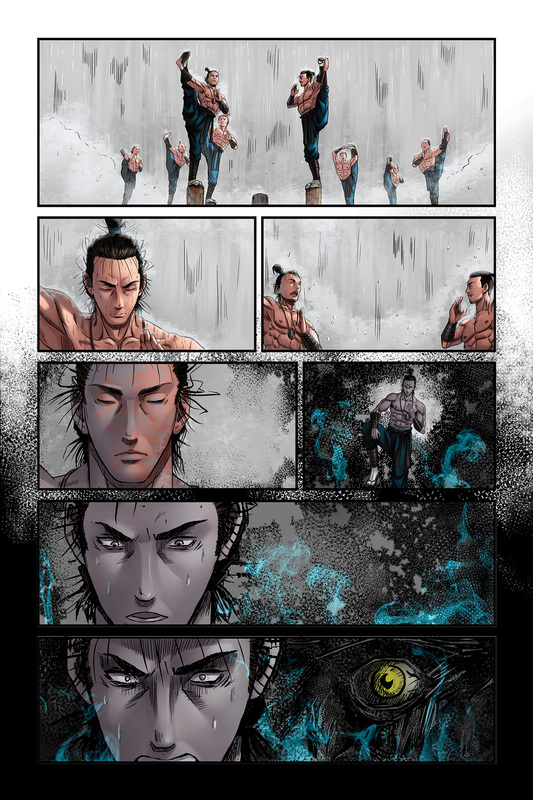 Madcave is new comic book studio that has been churning out some high quality comics with fantastic ideas. I really have enjoyed their Battlecats series that is returning with a new #1, that series is kind of like Thundercats meets D&D and is fantastic. They have also just created a Ninja series called Honor and Curse which is awesome. You can find a lot of great Madcave stories on Amazon! For all my love for Madcave though they are head quartered in Florida. That's right when ever you see one of those headlines that start with "Florida man......" that is these crazy guys. All teasing excited they announced something that I am really excited for. Saw something cool on the Madcave website today. They released their convention schedule and guess what. 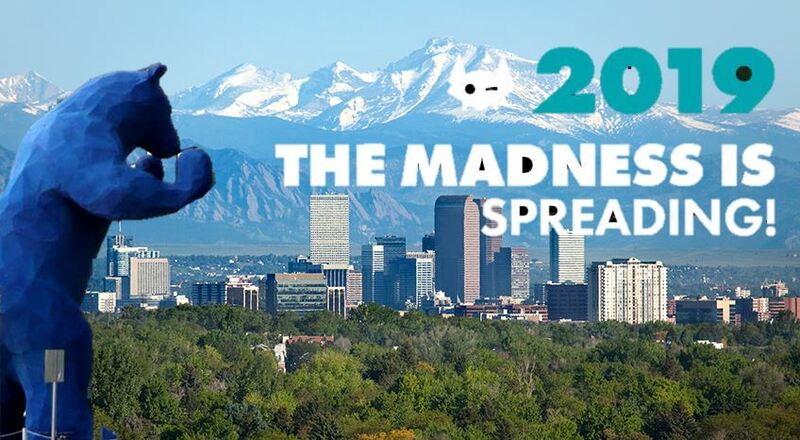 Madcave is coming to the Mile High City! Yes! 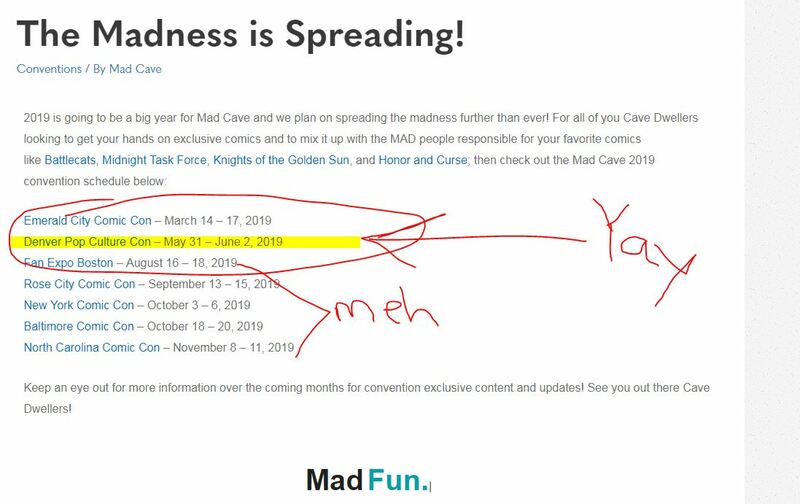 This makes me really happy, I am a fan of both Madcave and Denver Comic Con (Other people call it Denver Pop Culture Con) so seeing them come together is like Peanut Butter and Jelly. I hope all Denver Comic fans give them a Colorado welcome and give them a Mile High Five.